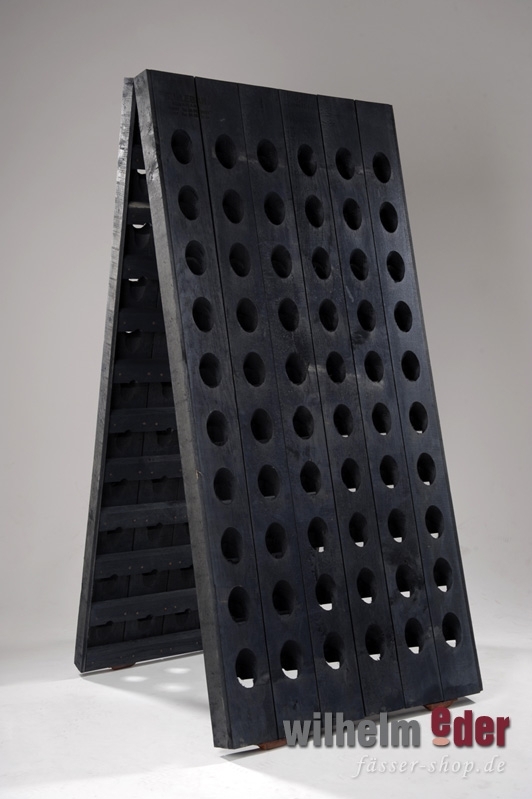 Product information "Champagne Rack - 120 bottles - black"
Riddling racks are central to the process of manufacturing Champagne. 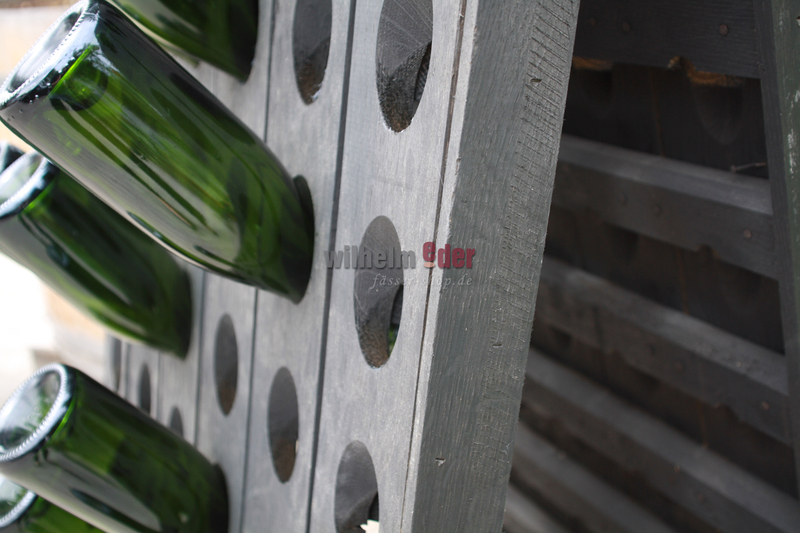 After the sparkling wine has aged on the lees, it is ready for the concluding stages. Riddling, or remuage, is the process designed to collect the sediment in a bottle and deposit it near the mouth of the bottle. The bottles are inclined at a 45-degree angle on a riddling rack, comprising two simple rectangular boards hinged at the top. 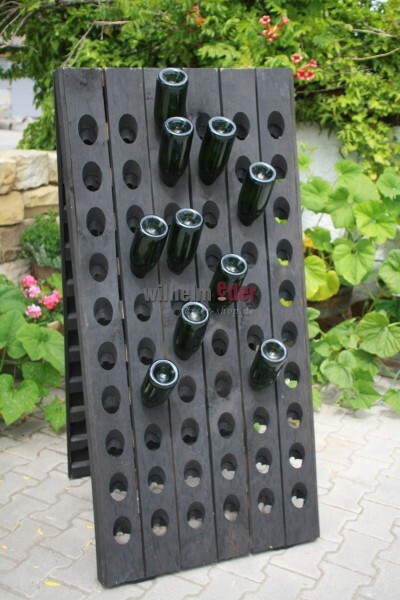 Each side is bored with six bottleneck-size holes, along ten rows. 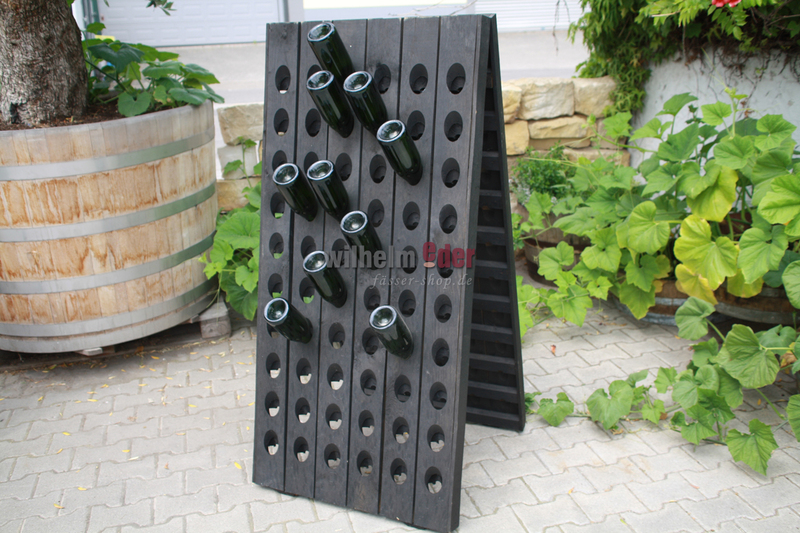 Thus each riddling rack can hold 120 bottles although there are special models for large containers. The riddler places the neck of a bottle of Champagne into each of the holes. A painted line on the bottom of each bottle acts as a marker, with all markers pointing in the same direction. Daily, over the next few weeks, the riddler twists every bottle a few degrees. Simultaneously, he raises the bottle bottom indiscernibly, lowering the neck only a centimeter or two each week. In the beginning, all the bottles seem to be almost horizontal. After a few weeks, however, the bottles are slanted to a 60-degree angle and are neck-down in their holes.